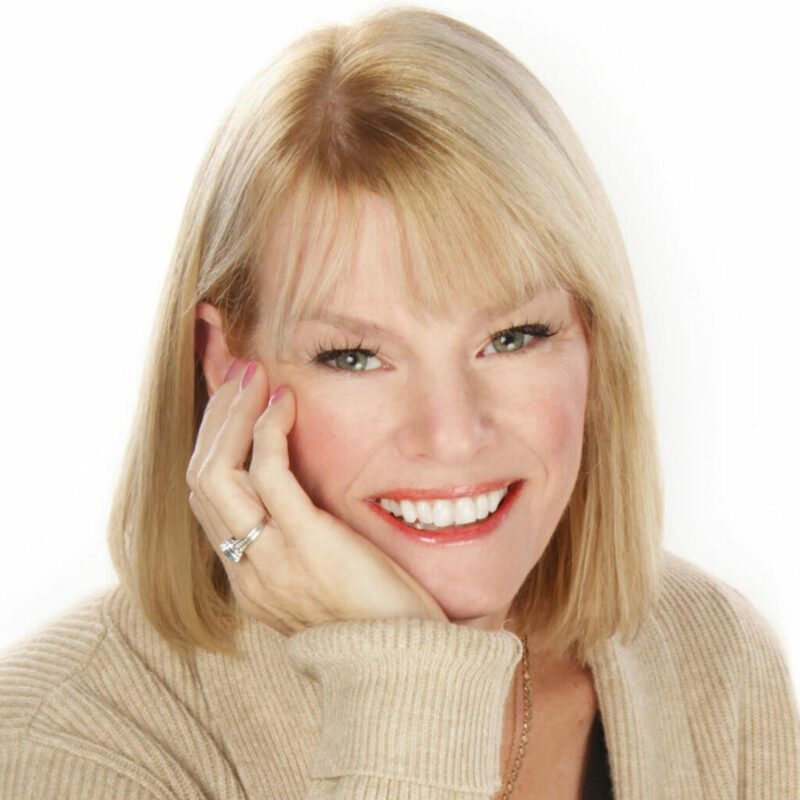 Lynda Cheldelin Fell is creator of Grief Diaries, CEO of AlyBlue Media, co-founder of the International Grief Institute, and international bestselling author of over 30 books including the award-winning Grief Diaries series. Believing in the power of storytelling to heal, she is an international speaker on healing and hope, and has curated the largest collection of grief experiences in the world. She is a certified critical incident stress management educator dedicated to creating a sustainable culture of support through best practice strategies. Lynda has earned four national literary awards and five national advocacy award nominations for her work. Learn more at www.LyndaFell.com. Linda Bateman Gomez was born and raised in San Jose, California. In 2009, Linda took a step down the entrepreneurial path, becoming an inventor with a patented natural lip plumper called Fullips. Linda and her husband Dr. Ernesto Gomez were recognized as National Parents of the Year in 2007 by the Parents Day Council. They were also awarded the National Philanthropic Award by St. Vincent De Paul for their family food drive, raising more than 132,000 pounds of food. Additionally, Linda developed a program called Crossroads, designed to help the homeless back on their feet. This ran successfully until 1998 when the city program began. Linda has volunteered twenty-five years for The Compassionate Friends, having lost her oldest son Chad to SIDS in 1986. Mary Lee Robinson is a native of Towson, Maryland, who now resides in South Carolina, where she retired (she thought) with her husband shortly before his death. Mary Lee is a Certified Grief Coach, member of the American Association of Christian Counselors, author of The Widow or Widower Next Door, and the owner of Rings of Remembrance. She also organizes social clubs for widows and widowers, and hopes to see chapters all over the country one day. Bestselling author Kristi Smith is a dreamer with a vision of Speaking Life, Cultivating Courage, Sparking Laughter, and Awakening Dreams. She is the author of the #1 bestselling book, DREAM…a guide to grieving gracefully. A degree in Psychology combined with thirty-plus years of ministry experience provides Kristi with a solid knowledge of how the mind, body, and spirit work together. It is this spiritual perspective that transcends the traditional view of grief. Kristi relocated from Ohio to Charlotte, North Carolina, and loves uptown living. Kristi’s greatest joy is being the mother to two beautiful adult daughters, Abbi and Faith. After the suicides of two loved ones within a two-year period, Sharon Ehlers was confused. In her grief, she tried to make sense of it all, but it seemed like it was “never the right time” to bring it up with anyone. Her thought was that there had to be a better way. After working in corporate America for almost thirty years, Sharon decided to start her own company, Grief Reiki® LLC, to offer a multidimensional approach to grief through emotional recovery and spiritual healing. Now a certified grief recovery specialist® and co-author of Grief Diaries: Surviving Loss by Suicide, Sharon is helping others to heal and recover from grief by providing them with a safe, compassionate and healing environment for their journey. Maryann Mueller was raised in a small town outside Pittsburgh, Pennsylvania. She moved to Houston, Texas in 2002. She married her husband, Mark, in 2009 and lost him December 2014. She lives now with her three dogs, Pongo, Hannah and Max, who they rescued together. She continues to find ways to express herself and make her way along her grief journey. 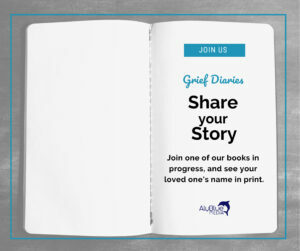 Writing for the Grief Diaries series is her way of reaching out and helping others who have experienced a similar loss in their life. Carrie Worthington is a mental health advocate who serves on the board of a local nonprofit. She lost her husband in 2011 and has paired her corporate background with grief education and is now a certified Managing Grief in the Workplace educator through the International Grief Institute. She enjoys writing, and encourages hope through her blog, books, and workshops teaching employers to better manage grief in the workplace. Annah Elizabeth is an author, speaker, and the creator of The Five Facets Philosophy on Healing™, a groundbreaking guide that helps us live our best lives in the face of adversity. Motivated by personal tragedy, Annah Elizabeth set out to uncover the secrets that allow some people to triumph over tragedy. Through her explorations of loss, grief, and healing, Annah not only discovered that the answers are as universal as the mystery itself, but also unearthed essential grief event recovery tools which she assembled into an innovative program, one that teaches us how to solve grief puzzles by identifying, evaluating, and refashioning conflicts with intent and purpose. Annah’s work pioneers a new discussion and provides the roadmap that helps us make the transition from grief to healing. Heather Wallace-Rey was raised in the suburbs of Chicago and attended Coe College in Cedar Rapids, Iowa. She has been active in ministry for eighteen years and has led workshops that benefit youth and Christian educators. Heather is a church administrator, and is a popular speaker at Faith & Grief events. Heather and her husband David are the parents of the five most wonderful young people in the universe. Heather enjoys blogging, gardening, public speaking, and spending time with friends and family. Heather is author of Faith, Grief and Pass The Chocolate Pudding. Dianne West married at eighteen and was blessed to share forty-one years with her husband, Vern. Widowed in 2010, Dianne has dedicated her post-loss life to giving back to the widowed community. In 2013, she became the national volunteer coordinator for Soaring Spirits International, a nonprofit organization committed to providing resources and peer support to people who have lost a spouse or life partner. She currently serves as the administrator of Widowed Village, an online community, and coordinates volunteers for Camp Widow weekends. She also oversees the Soaring Spirits Regional Group program, local communities of widowed friends throughout North America, and co-leads a group in the Las Vegas area. Dianne is also a Brave Girl University mentor. After her son’s death, along with his wife and a young man she loved as a son in 2007, at the hands of a drunk driver, Julie Downs joined and volunteered with MADD, Mothers Against Drunk Driving, until 2014, when she and her husband Bill co-founded Advocates for Victims of Impaired/Distracted Driving (AVIDD). Julie is board secretary, and devotes her time to operating four online Facebook support groups where she lends a listening ear and makes graphics for the members to help comfort and bring awareness to the devastation of impaired driving. Bill Downs was born and raised in south Mississippi, where he met and married his wife Julie in 1982. God blessed them with two children, Cynthia and Brad. Bill retired from the Air National Guard in 2006 and then from the Gulfport City School District in 2015. In 2007 when their son Brad, his wife, and a young man they loved as a son were killed by a drunk driver, their focus turned to advocating and supporting victims of impaired driving. Bill is president and co-founder of Advocates for Victims of Impaired/Distracted Driving (AVIDD), an administrator of four online support groups for victims, and hosts an educational class called AVIDD Voices, where victims share stories with offenders who are court-ordered to attend. Christine Duminiak is a Certified Grief Recovery Specialist, radio host, author, speaker, and founder of Prayer Wave for After-Death Communications. Duminiak has been a guest on many TV and radio shows, including Fox & Friends, Good Day Philadelphia, The God Squad, the Arizona Midday Show, NBC, CBS, and Coast-to-Coast AM and is a frequent keynote speaker at grief seminars. Christine is the author of Heaven Talks to Children, God’s Gift of Love: After-Death Communications, and the new children’s book, Grammy Visits From Heaven. Carmela Pollock is a devoted wife and mother who actively supports a number of organizations and institutions to provide assistance to mental health caregivers within Australia. Carmela was born and bred in Melbourne, Australia, where she graduated from Melbourne University with a degree in Social Sciences. She is the director and practitioner of Soulworks Essential Therapies, assisting people with mental health, general health, and wellness challenges. Carmela volunteers with Beyondblue to support people who are caring for loved ones with mental illness. Her story transverses nearly two decades caring for her husband with depression, and inspired her to establish A Black Dog About The House, an initiative that encourages and uplifts all mental health carers on their journey. Ryan Backmann began his career in the architectural field before tragedy changed his life. In 2009, Ryan’s father was killed during a robbery. His murder remains unsolved. After losing his dad, Ryan found a passion for helping others as a victim advocate serving families who have lost a loved one to homicide. In 2015, Ryan founded Project Cold Case. Through publicizing unsolved cases, working with lawmakers on cold case legislation and advocating for families of unsolved homicide victims, the organization has gained national attention. Ryan is committed to making sure these victims are never forgotten and has worked diligently to bridge the gap between information, families and law enforcement, and continues to work towards the ultimate goal of helping solve cold cases. Stephen Hochhaus was born in Douglas, Arizona, and moved with his family to Phoenix at the age of ten. He developed a love for art as well as a passion for flying and received his pilot’s license at age eighteen and his commercial license by age twenty. Stephen earned a bachelor’s degree in art and married his first wife in 1970. The couple had two sons and divorced in 1990. Stephen started his picture framing business in 1972, which he still operates today. In 1981, he partnered in an airplane with a gallery owner who died suddenly in 1991, and Stephen kept the airplane which he still flies today. Stephen met his wife Kathy in 1995 when she began doing accounting for his company, and as he would say, “It was magic.” They married in 1998 on the anniversary of the day they first met. Barbara J. Hopkinson is an author, certified grief recovery specialist, and healing advocate who has led bereaved families through the journey of grief for more than thirteen years. The sudden death of her twenty-one-year-old son, Brent, and the loss of two babies previously launched Barbara on a spiritual journey that changed her life forever. She founded a chapter of The Compassionate Friends, and her unique perspective from losing multiple children and witnessing so many other bereaved families in grief formed the basis of her first book, A Butterfly’s Journey: Healing Grief After the Loss of a Child. She also founded the nonprofit A Butterfly’s Journey to a New Normal, authored numerous books, and travels the country helping those who are struggling with grief. Mary Potter Kenyon graduated from the University of Northern Iowa and was recently certified as a grief counselor. Mary is Program Coordinator for the Shalom Spirituality Center in Dubuque, Iowa, where she lives with the youngest of her eight children. Mary is the author of seven books, including the award-winning “Refined By Fire: A Journey of Grief and Grace,” “Expressive Writing for Healing: Journal Your Way From Grief to Hope” (with a foreword by Lynda Cheldelin Fell), and an upcoming book on creativity. She is widely published in magazines, newspapers, and anthologies, including eight Chicken Soup books, and five Grief Diaries titles. Mary is a popular public speaker on the topics of creativity, writing, and grief. David Allan Jones grew up in Reynoldsburg, Ohio, and earned a B.A. in Political Science from Ohio State University. He has forty years of experience working in IT. He is active in church, Rotary, Toastmasters, and with a local food pantry. David speaks against drunk driving to an average of 1,500 people every year for MADD and Maryhaven. He is married and has seven children and eleven grandchildren. Daphne Greer enjoyed a long career as a parole officer until losing her young daughter in a car accident in 2005. She has since found new purpose and passion in her nonprofit organization Lydia’s Love, which provides birthday celebrations to children in need. She volunteers for nonprofit organizations including The Compassionate Friends and Ellie’s Way, and owns The Compassionate Courier that delivers comfort and hope to grieving hearts. Michael Gershe was born in Suffern, New York. At 8 weeks of age, he broke nearly every bone in his body when the family car was hit by a drunk driver. Michael’s mother didn’t survive. Michael has a degree in communications from Ashland University in Ohio, and a Master’s in Higher Education Administration from the University of Akron. While in graduate school, he created The Magic of Life program which combines stand-up comedy with his story for an inspirational non-doom and gloom alcohol awareness and impaired driving prevention program. He has been speaking for over twenty years at schools, colleges, military bases and courts. In April 2015, he founded The Magic of Life, Inc, (www.themagicoflife.org) a nonprofit organization that works to prevent impaired driving and help those impacted by it. Donna R. Gore earned a Master’s Degree in speech-language pathology and immersed herself in all things medical from both sides of the bed. She is a former direct care rehabilitation therapist and as a patient herself, has endured fifty-eight surgeries, having been born with spastic cerebral palsy. She is an accomplished advocate for all types of crime victims survivors as well as persons with disabilities and LGBT. For over fifteen years she has been employed as a State of Connecticut Human Services Advocate, serving blind and visually impaired clients. She is also an author and host of the weekly radio show Shattered Lives Radio. Mary Lee Claflin was born in Houston, Texas. She worked for a large Methodist Church as the business manager for over seventeen years before retiring in 2006. Mary Lee was a hospice volunteer for over seven years and sat with many people toward the end of their lives. After having been divorced for fourteen years, Mary Lee married a friend she had known for over thirty years. They enjoyed eight wonderful years together before her husband died of cancer in 2013. She presently lives in Georgetown, Texas. Diane McKenzie-Sapp is a Maryland native, and retired as Assistant Director of Nursing and an inspector for Medicare. Diane broke tradition by crafting new unconventional solutions. Seeing an unattractive photo of an open-mouthed tearful girl, she stopped crying at age four. At age six she decided being ticklish was a weakness. She was relentless until her “why nots” were answered. All suffer a broken heart with grief. Finding a way to heal that heart, the child became stronger than the widow. That unwavering determination for solutions to problems by challenging with “Why Not?” led to unconventional ways to view grief and offer widow’s rings through Expressions of Grief, a line of mourning jewelry sold around the world. Erica Gale Beltz was born in Herrin, Illinois. The family moved frequently, finally settling in western Georgia when Erica was eight. At eighteen, Erica gave birth to her daughter Lakin who was born fighting for her life. Five years later Erica gave birth to Luke. Struggling through alcoholism, drug abuse, and domestic violence, Erica worked backwards to find her footing. Erica has volunteered extensively for The Compassionate Friends including serving as group leader, co-leader, facilitator instructor and event coordinator. She also volunteers for Kate’s Club, a club for grieving children. Her first grandchild, Ava Kate, was due on Luke’s Angel Day, and has brought a joy into Erica’s life that keeps her heart singing. Marilyn Rollins was born in East Chicago, Indiana, and raised in Hessville, Indiana. She attended Morton Elementary and high school in Hessville, and graduated with a Licensed Practical Nurse diploma from Purdue University. Marilyn began her nursing career on the medical floor of a hospital, eventually moving to nursery and then pediatrics. She spent the last twenty years of her career in family practice before retiring following the deaths of her son and granddaughter in 2006. Marilyn attended The Compassionate Friends grief support group after their deaths eventually taking leadership training and becoming a chapter leader herself. She is married and has one living son and six living grandchildren. Jennifer Clarke is the mother of three living children (son Jalen, daughter Jasiya, and son Jaden) and an angel baby (Jasmine). She was raised in Downers Grove, Illinois, and currently resides in a neighboring suburb with her children and her longtime partner, Troy. Jennifer has been a registered nurse in obstetrics since 2004. She is a member of the Perinatal Bereavement Committee at AMITA Health Adventist Medical Center in Bolingbrook, Illinois, where she created Baby Jasmine’s Angel Nursery and raised funds through a GoFundMe campaign to donate a CuddleCot to the hospital in her daughter’s memory. Her goal is to raise the funds to donate more CuddleCots to hospitals nationwide. Deana L. Martin is a childless parent, who lost her only two children in a tragic auto accident in 2011. Miraculously, Deana was spared her only granddaughter who was in the car behind them. Since the death of her children Deana has become a certified grief specialist and has channeled the love for her children to other families facing loss. She is vice president of Cry For Me, No More, co-author of Grief Diaries: Loss of a Child and serves on the board of the National Grief & Hope Coalition. She has faced many adversities in life and feels each one makes her stronger. She is a breast cancer survivor, and is no stranger to trauma. She hopes to help people heal by showing them how to find the strength and courage needed along the journey. Originally from the south coast of England, Nicola Belisle moved to the United States with her Coast Guard husband, Rich, in 1992. She and Rich, along with their three daughters, made their home in Kodiak, Alaska, where Nicola still lives. Several years ago, Nicola began quilting, and now owns her own business creating colorful, beautiful quilts. She is the Kodiak group leader for the Quilts of Valor Foundation, honoring past and present service members who have been touched by war with the comfort of a patriotic quilt. Nicola is an avid reader and loves being outdoors hiking with her two dogs, fishing, or just being with a few close friends. Stephanie Malcolm and her husband of almost seventeen years have seven young children. Aside from being a busy mother and wife, she enjoys walking, reading, and learning new ways to be frugal. Stephanie volunteers at her children’s school and is also involved in different ministries at her church. 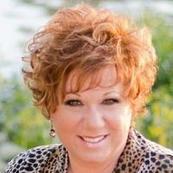 She is especially passionate about ministering to mothers who have lost their children. Since the age of thirteen, Stephanie has kept a journal of her life and has passed along the journaling tradition to each of her children. Carl Harms is an award-winning victim advocate who has dedicated his life to assisting victims of violent crimes since the tragic loss of his father who was killed in a four-car collision involving two separate drunk drivers in 2007. Through his tragic experience, Carl’s goal was not to blame the system but to become a part of the system in hopes of making it better. He dedicated his life to becoming a victim advocate, and continues to help others as a Homicide Victim Specialist with the State Attorney’s Office, 4th Judicial District, and founder the community awareness organization JAXImpact. Learn more at www.JAXImpact.org. Kim & Kayla Thomas are a mother-daughter duo near Calgary, Canada. Since losing Kim’s only son and Kayla’s only brother to a drunk driver in 2012, they now advocate for change in the laws regarding drunk driving in the Canadian legal system. The pair also coordinate community events in Brandon’s honor including the popular car show Show Your Ride for Brandon. For information on their annual event, visit www.showyourrideforbrandon.com. Christine Bastone is a stay-at-home mom in her forties who has only recently figured out that she wants to be a writer when she grows up! She was born in northeast Ohio and moved to Florida in May 1995. She married Angelo Bastone in July 1997. They have a son, Joshua, born in 2001 and a daughter, Katelyn, born in 2004. The four of them live together in their house at the end of a quiet street in central Florida. Christine has always loved to read, and was thrilled when her husband gave her a Kindle for Christmas in 2011. She has since read hundreds of Kindle books. Christine contributed to the book, Faces of Suicide, Volume 1, and has been a guest on Grief Diaries Radio twice in 2014. She is currently working on a new book called Advice from Tomorrow. Layne Martin, R.N. was born and raised in the beautiful Pacific Northwest and is a retired R.N. While at the top of her career in emergency medicine administration, at age 47 her world came crashing down when she was diagnosed with psoriatic arthritis, a destructive autoimmune disease. Soon Layne was plagued with the debilitating effects of the arthritis and was forced into early retirement, leaving a profession that she dearly loved. Today, Layne volunteers her time writing blogs as a regional outreach manager and patient advocate for CreakyJoints. She will soon undergo her second hip replacement. Stacy Roorda is the youngest of five children. After graduating from high school she briefly attended college but wanderlust soon took her on an eight-year adventure around the world. After settling back in her hometown, she met her future husband and they now live in Lynden, Washington, along with their three lively daughters. In 2007, Stacy was diagnosed with an aggressive form of stage 4 breast cancer while pregnant with her third child. She became an international bestselling author, originally sharing her story in The Missing Piece: A Transformational Loss. Her story has also been featured in TheBlaze as well as on Vimeo. Brenda L. Kleinsasser is a patient advocate for both brain tumors and rheumatoid arthritis, and a Super Advocate with the Global Healthy Living Foundation via the 50 State Network. Her volunteer activities include Patient Partners in Research with CreakyJoints, and she served as editor of CreakyJoints Poet’s Corner (& Artists too) for three years. She is a writer for the Grief Diaries and Real Life Diaries book series, and blogs at BrendasBrainstorm.blogspot.com. Christa Hall was born near Cincinnati, Ohio, and raised near Virginia Beach. She struggled for years with chronic pain and after finally receiving a diagnosis of endometriosis in December 2015, she has turned her life into a mission to help women and future generations of girls get a correct diagnosis and the support they need. Melissa Adams VanHouten holds a Master’s degree in political science. She is a former university political science instructor and corporate trainer who resides in Indianapolis. As the creator and administrator of several online support and advocacy groups, she now spends her days advancing the cause of those who struggle to live with gastroparesis. Melissa’s advocacy group, Gastroparesis: Fighting for Change, has made huge strides, passing awareness proclamations in 23 states, contributing to the implementation of a national awareness month, and starting a petition drive to advance a congressional bill that would greatly benefit the gastroparesis community. Brian M. Van Heck has a Bachelor’s degree in theology and Master’s in counseling. He completed his mortuary science education at Gupton-Jones College of Funeral Service in Atlanta. With twenty years of experience in funeral service, Brian considers his profession a ministry and his life’s calling. An avid slalom waterskier, he lives with his wife, Elizabeth, in the Lake Norman area of North Carolina. Deborah Pfiffner is an author and writer who has contributed to a number of books in the Grief Diaries series. She is an avid NASCAR fan, and enjoys traveling, knitting, and beading. She and her husband live in St. Paul, Minnesota. Sunshine Purcell and her alters are talented artists, writers and poets who are dedicated to raising awareness about all forms of mental illness. She hosts YouTube’s Sister Diaries with Sunshine, authored and illustrated Color Your Soul Whole, and is producing a line of greeting cards.